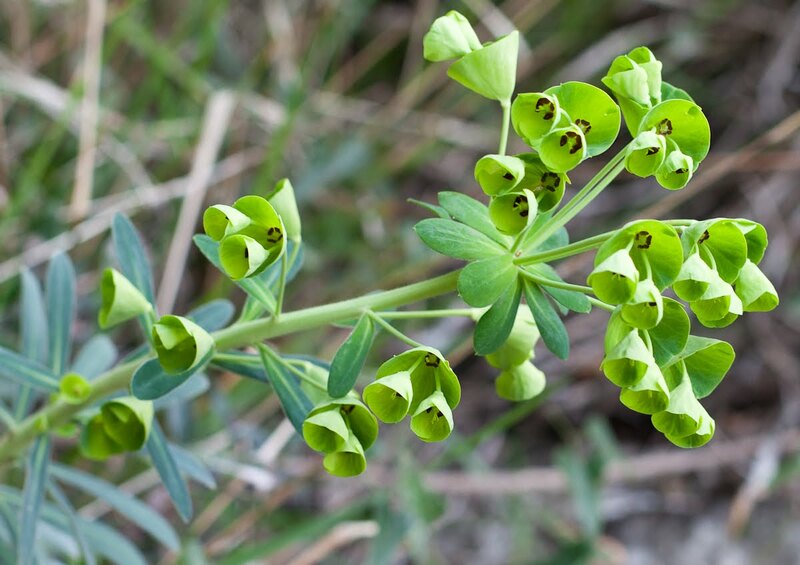 The hills are covered with this Euphorbia at the moment. Well I think it's a Euphorbia. Green flowers seem to emit an air of calm - no colour to shout at you. Nathalie shows beautiful shots of borage, taken on this walk, on Avignon in Photos today. En ce moment, les collines sont couvertes de cette euphorbe. Effectivement, je pense que c'est une euphorbe. Les fleurs vertes inspirent un sentiment d'apaisement - pas de couleur qui choque. Euphorbia and borage, we're both into botanics this morning. What a beautiful walk it was, so much to marvel at. Always wondered what these were...there are lots here. Love their green.